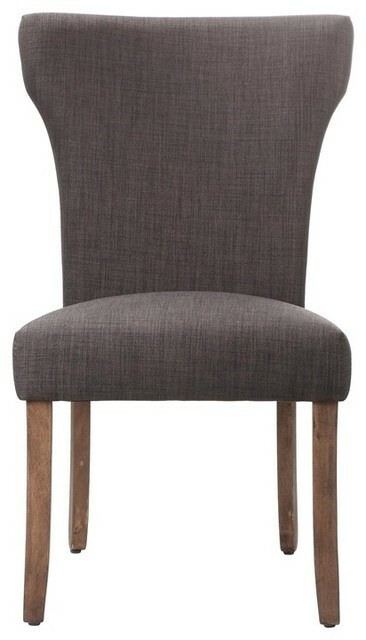 The Mary upholstered dining chair is classic and simple in design. 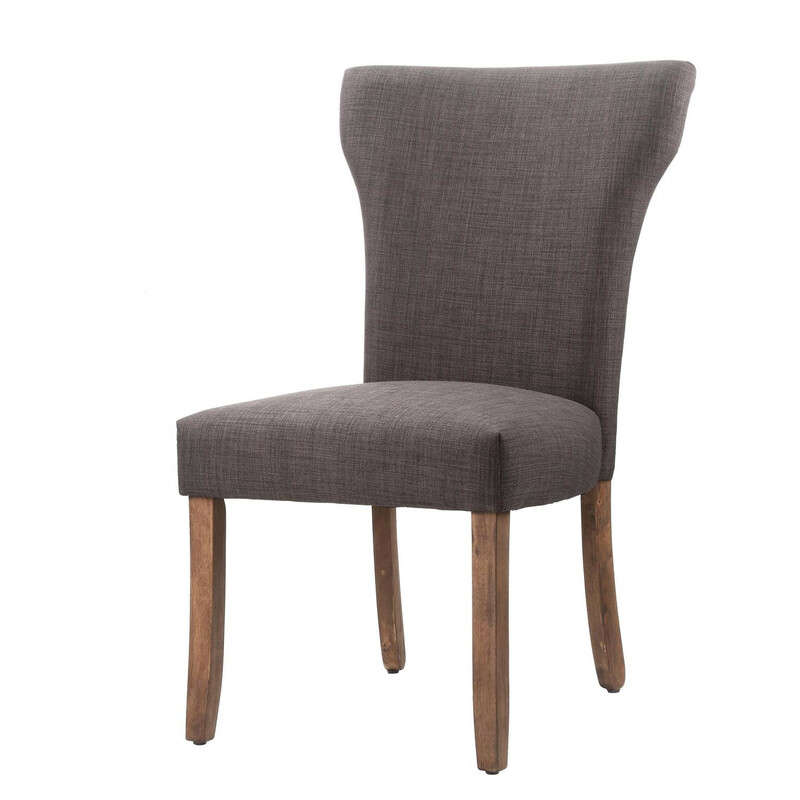 The chair has an dark asphalt grey polyester upholstered chair back and seat with distressed light brown legs. This chair can also easily be used as a desk chair. 425 points will be rewarded to you when you buy this item.